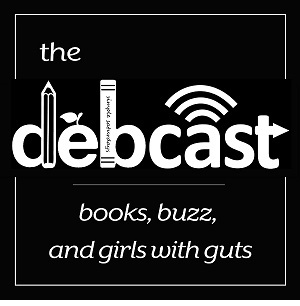 Hosted by author Debbie Gonzales, the Debcast is dedicated to the courageous female athletes of the past and present who demonstrate that playing like a girl means to approach sports – and life – with confidence, commitment, and drive in order to achieve any worthy goal. It means being aware that, when you excel in your sport, it’s a win for all girls – everywhere. Here on The Debcast, we'll explore what it means to be an athletic girl with guts by talking with female athletes of all ages and walks of life, as well as authors who have written about them. Deb is the author of the forthcoming non-fiction picture book GIRLS WITH GUTS: BREAKING BARRIERS AND BASHING RECORDS (Charlesbridge, 2019).